Equipped with High Frequency technology and a 0.4mm focal spot, the Owandy-RX ensures consistent exposure parameters and high quality X-ray emissions. Microprocessor Control of the timer Guarantees exposure times are accurate to the 1/100th of a second. HF technology ensures patient safety byb a significant reduction in X-Ray doses and slimination of harmful soft X-Rays. 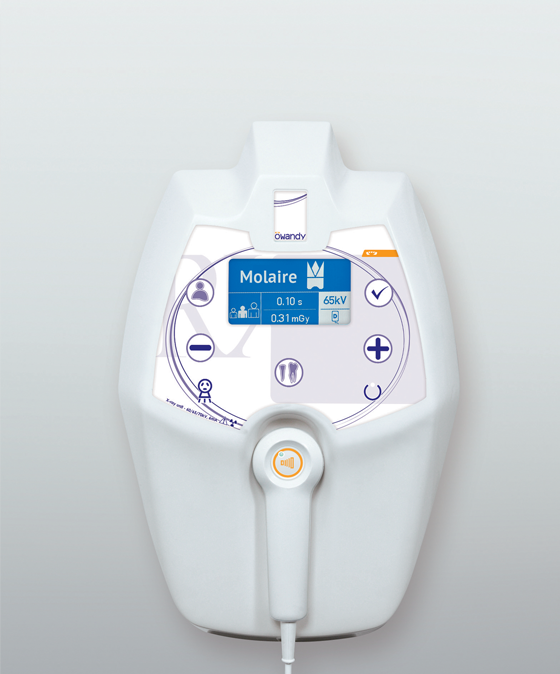 Both Exposure Time and Delivered Dose are Clearly Displayed on The screen. 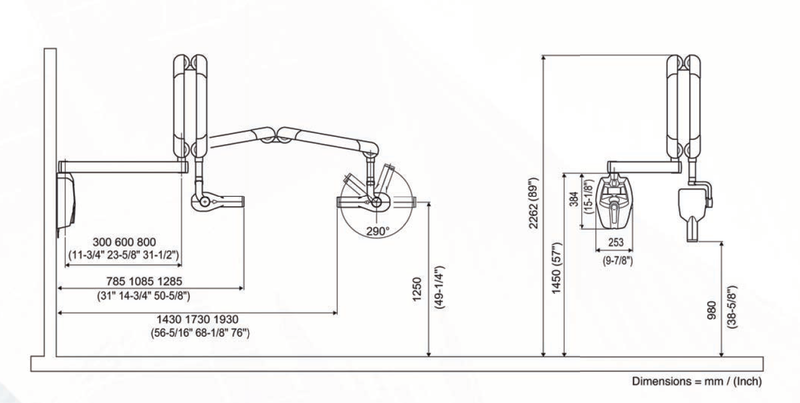 The Owandy-RX is compatible with All the various types of sensors on the market. 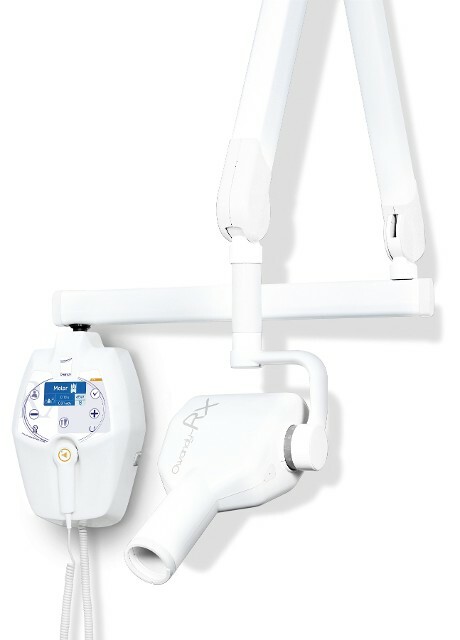 So no matter you use film Digital Sensors or PSP Imaging Plates the Owandy-Rx DC Intraoral X-Ray Unit will give you the Best Image quality. New LCD , New design, For more reliability! Equipped with a 3.7" LCD screen, the Owandy-RX has a simple and intuitive user interface. In response to energy saving concerns, the generator has an integrated Sleep mode function in case of prolonged inactivity. X-ray emissions are controlled safely and remotely with the wireless trigger option and no more cables obstruct the work top allowing you to move freely. 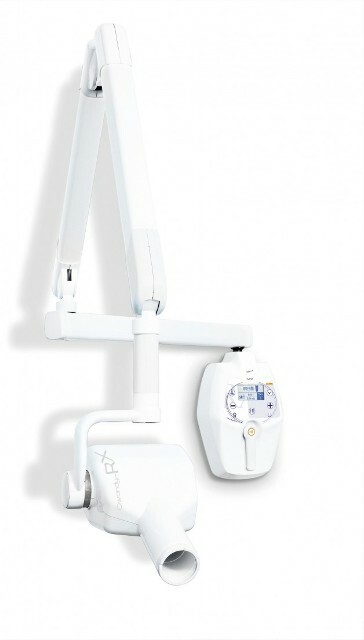 Designed to withstand all sorts of stress, the Owandy-RX arm is well balanced, manoeurvable, flexible and robust. It's equipped with a stabilising system to make sure there are no unwanted movements or vibrations, Providing a truly comfortable experience for both the practitioner and the patient. Furthermore the Owandy-RX has a built in automatic exposure time compensation in the event of any power fluctuations. 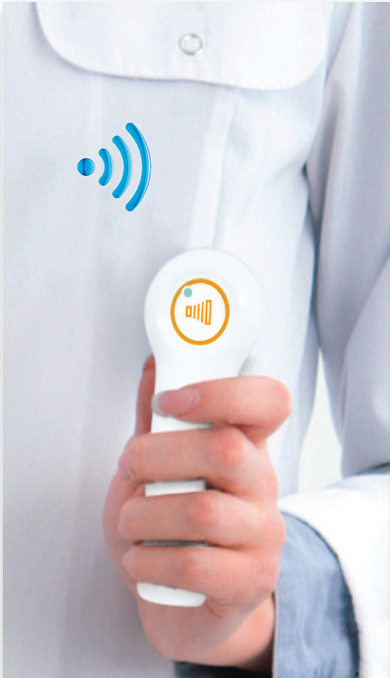 The Owandy-RX is a user Friendly tool for the entire health care team. Operating the timer is sponyameous and requires no training. Controls are simple: only 3 very intuitive buttons are requied for all the type of tooth selected, the second calibrates the X-Ray dosage according to the patient's build and th e third selects the senor (Film or Digital). Equipped with a 3.7" LCD screen, the Owandy-RX has a simple and intuitive user interface, The display may be personalised according to the language used. In respose to energy saving concerns, the generator has an intergated sleep mode function case of prolonged inactivity. The owandy-RX generator is equipped with a manual remote trigger ir a timer ensuring the practitioner's safety while performing the examination.